Please select an equipment type. The leader in crane rental & specialized transportation solutions in the Northeastern United States. 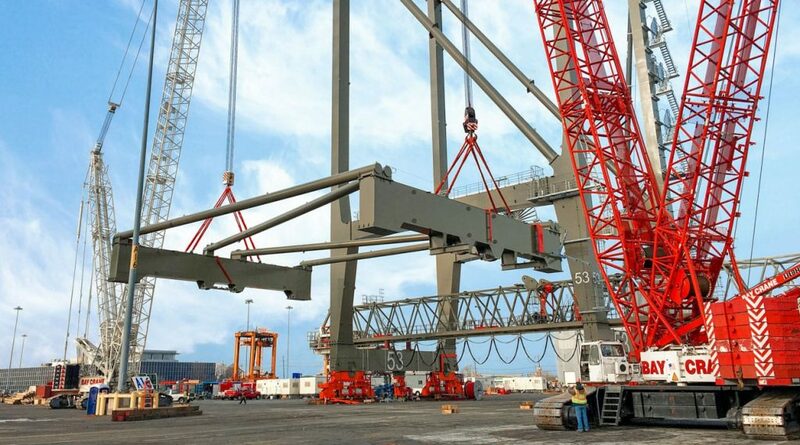 Crane rental, specialized transportation, and rigging in New York & the Northeastern U.S. 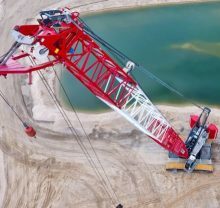 The Bay Crane Companies are the leader in specialized transportation and logistics planning for the implementation of heavy hauling solutions in New York and the greater Northeastern U.S. Our fleet is unsurpassed in our geographic area and we possess all of the tools and equipment to service and handle any challenge. 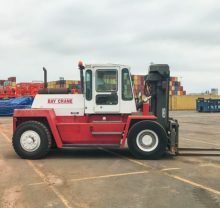 Bay Crane’s personnel are highly experienced in their abilities and capabilities, always offering a first class and safe transit of your equipment. All lift and transportation plans are comprehensively prepared in AutoCAD and submitted for client approval, as well as by State and local authorities. Bay Crane can also provide New York City geometric surveys to out of state truckers. The TWA Flight Center welcomed the Lockheed Constellation tail number H8083H for the last time. The Starliner L-1649A “Connie” was carefully cradled into place reunited with her wings April 9th as a lounge and event venue for the TWA Hotel at JFK Airport. The Connie had visited JFK during the 1960’s when Eric Saarinen designed TWA Arrivals Terminal was in full fashion with the traveling elite taking flight overseas in pampered comfort. Over the years, new and faster aircrafts eventually phased out this iconic plane, leading to a series of buy and sells that left this Connie deteriorating until Lufthansa stepped in and helped arrange a new use; as a lounge at the new TWA Hotel and a much anticipated event venue. 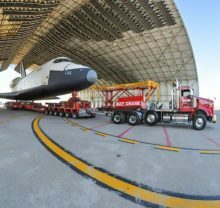 The Connie had been seen being moved along Interstate 87, popping up in Manhattan all the while being housed under a large outdoor hangar at JFK until it moved to its final arrival destination on the “tarmac” at the TWA Flight Center, adjacent to the JetBlue terminal. The actual logistics of the reconstruction of the aircraft were carefully handled by Worldwide Aircraft. 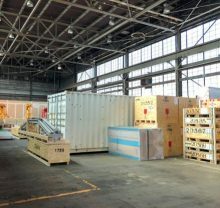 Owner Marty has been seen at the airport many times preparing for the move of the wings recently, the fuselage on March 9, and the engines and tail to follow shortly. All of this is part of a documentary being filmed. 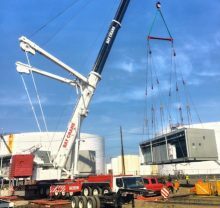 Catching many arriving passengers by surprise, the huge Bay Crane and a dozen experienced movers strapped 4 belts across the 15,000-pound aircraft body. Then it was slowly lifted to the amazement of many onlookers with cellphones raised high recording every minute of Connie’s last flight.